If you've played Fallout New Vegas, then you know what a Glowing One is. 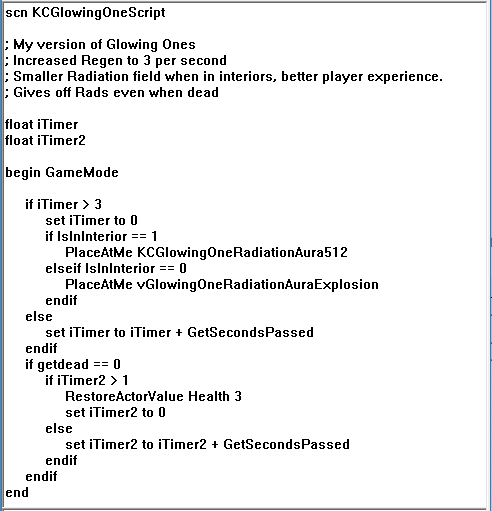 This script makes Glowing Ones more hazardous. Specifically they continue to emit radiation when dead and they regenerate faster. While playtesting I found the radiation zone of Glowing Ones to be confusing when the player was in an interior cell. Typically a player would be in the radiation sphere of a glowing without any idea of where the Glowing One was. So, I changed that too!